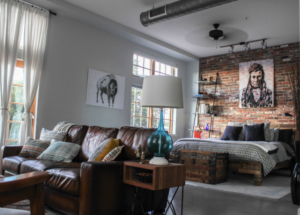 Blog The Ultimate Makeover--Reclaimed Thin Brick Works Its Magic in Texas! 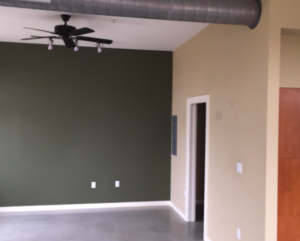 Shortly after moving into his condo in East Austin, Matt knew he wanted to make the stark interior of his loft harmonize with the character of the brick exterior of the building. In a revitalized neighborhood filled with warehouses and single family residences, reclaimed brick was a fitting accent for his new space. After coming across our reclaimed thin brick product on our website, Matt’s partner Kenley, agreed that “this was IT and knew that we just had to use it! The uniqueness of each brick is telling of its history through the individual markings and soot stains.” They decided to install it themselves with a little help from family to truly be immersed in the process versus hiring a local mason. 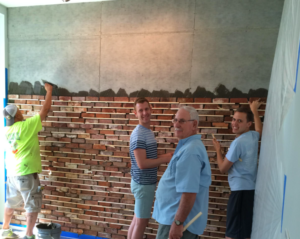 Once Stone Farm’s Mill Blend thin brick veneer was chosen for its rustic patina, the DIY project began to take shape. Brick by brick the wall went up! Keeping those lines nice and straight as the transformation took place. 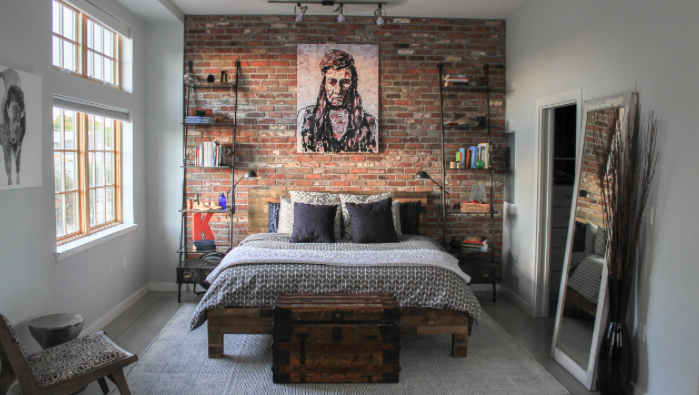 One really cool reclaimed thin brick accent wall, along with carefully chosen antiques and artwork truly elevates this open and airy space to a completely new level! Ready to move in? Are you in the midst of planning an interior project this coming winter? Stone Farm can supply the brick to transform that room that may be feeling a bit “blah” to you these days! Just give us a call!